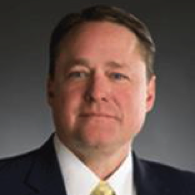 Dan Berger became NAFCU president and CEO on August 1, 2013. He was promoted to executive vice president of government affairs in July 2009 after joining NAFCU in January 2006 as senior vice president of government affairs overseeing five divisions including legislative affairs, regulatory affairs, research/economics, regulatory compliance and political affairs/PAC. Berger is NAFCU’s chief advocate before Congress, the White House, and the federal regulatory agencies. Berger brings more than 25 years of government relations and political affairs experience to his post and has held key association and business management positions. In addition, he served as chief of staff in the United States House of Representatives. For 14 consecutive years, Berger has been listed as one of the most influential lobbyists in Washington D.C. by The Hill newspaper. He has been a commentator on Fox News, CNBC, and CNN, and is quoted regularly in the Wall Street Journal, The Washington Post, and numerous financial services publications.